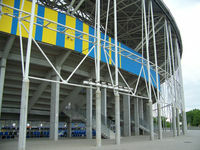 Parking for 502 cars, 12 buses and 94 VIP bays. 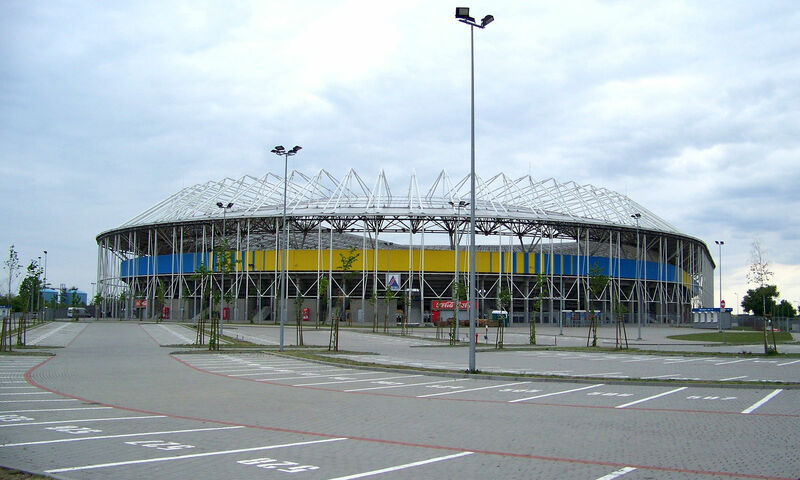 Designed in 2007 and built in 2009, Toruń's new speedway stadium was named Motoarena Toruń. 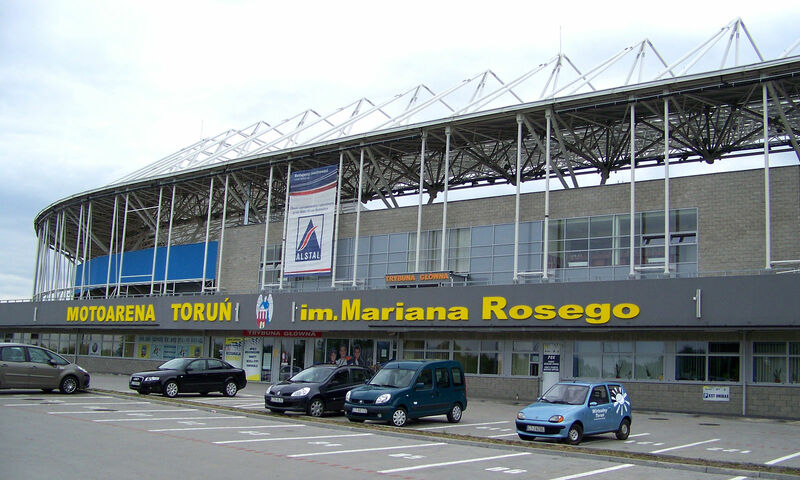 After completion patronage of Marian Rose (local speedway legend) has also been added. 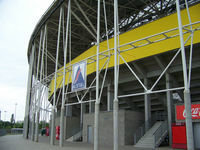 Though financed entirely by the municipality, the project was possible only thanks to private investors, who bought old stadium (just 900 metres east) from the city and thus provided necessary funding. 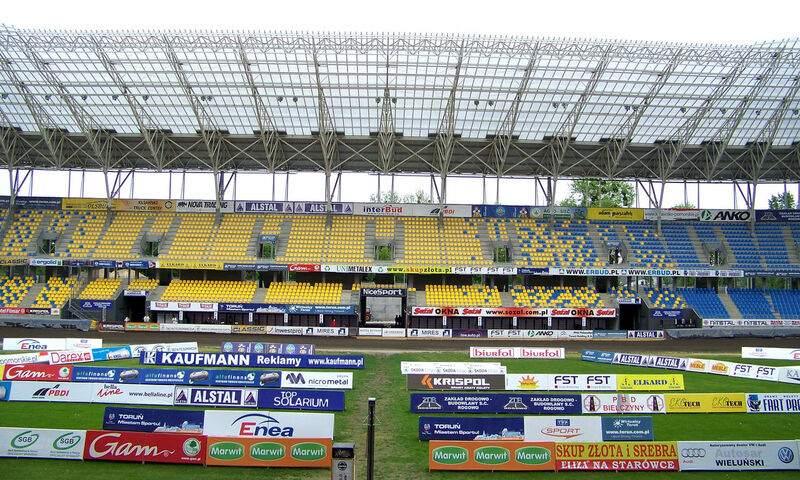 Initialy priced at 81m zloty, the venue took some 96m to finish as in 2011 roof was extended to cover not only stands, but also the track – a very rare feature among speedway stadia worldwide. 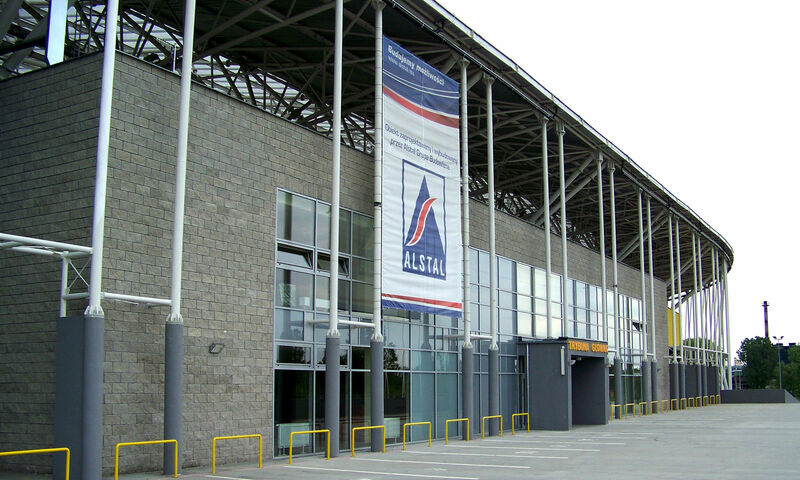 Due to racing track size, playing football would require covering parts of the slag with grass. Therefore only one discipline is played here with home side Apator being major tenants. 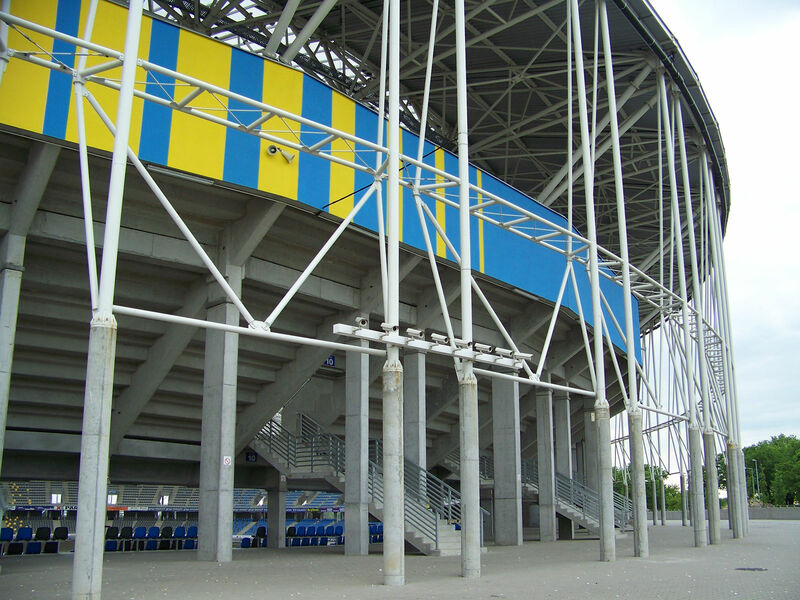 Soon after opening local derby match against Bydgoszcz's Polonia gathered some 17,000 people, significantly exceeding capacity. This number remains unmatched despite the venue holding also Grand Prix events and concert of Rod Stewart.